Do you constantly find yourself running over your data allowance and incurring fees? Make the most out of your data with these easy phone hacks. Today I’d like to dive into a tactical article examining your cell phone data usage. 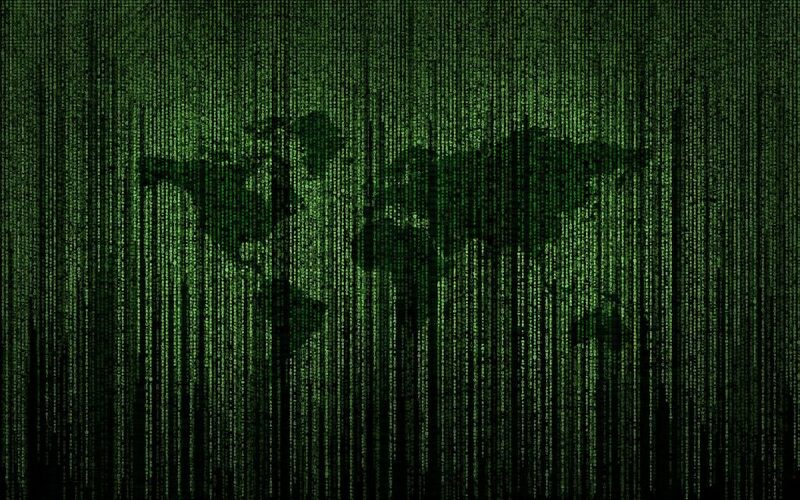 Are you paying for the right amount of data? I was at the office recently chitchatting with a coworker and we started talking about mobile data usage. It turns out this guy had recently blown past his 3GB monthly allotment and was hit with a $15 overage charge. I asked him how he could possibly use so much data when we are bathed in wifi for what feels like 99% of our waking hours, which consist of mainly spending time at the office or working from home. I figured he must have accidentally turned off wifi and forgot to turn it back on. I took a look at my phone usage statistics. “This month looks like I’ll hit about 200MB,” I said. As you can imagine, we then proceeded to have a much longer discussion about mobile data usage. How could I be using so little compared to him? And what were the financial ramifications? The truth is, I thought 200MB was plenty of data usage. I had access to my phone at all times, emails were constantly coming in and I used my phone over the past month as I would normally use it, surfing the web, watching videos and sending messages back and forth to friends. 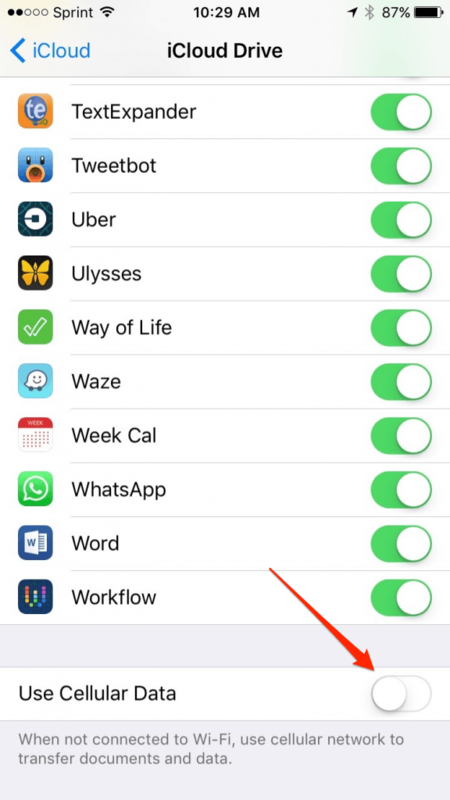 It turns out, I had made a few small tweaks to my iPhone settings to reduce data usage and then one small change to my behavior for the rare occasions when I didn’t have a wifi signal. If you’re interested in reducing your data, here’s how to do it. 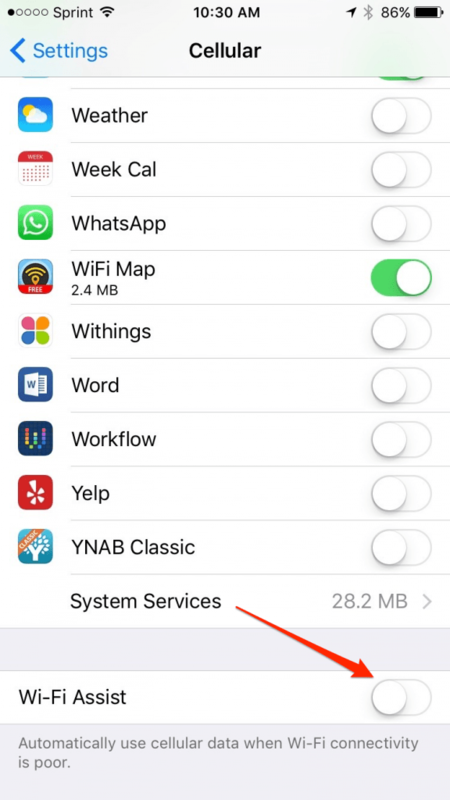 1) Disable Data Hungry Apps. A lot of apps use cellular data for no particular reason, except it’s convenient for the app to download information when it wants to. Think about that for a second. The app decides its in its best interest to download information, so decides to use the cellular network. 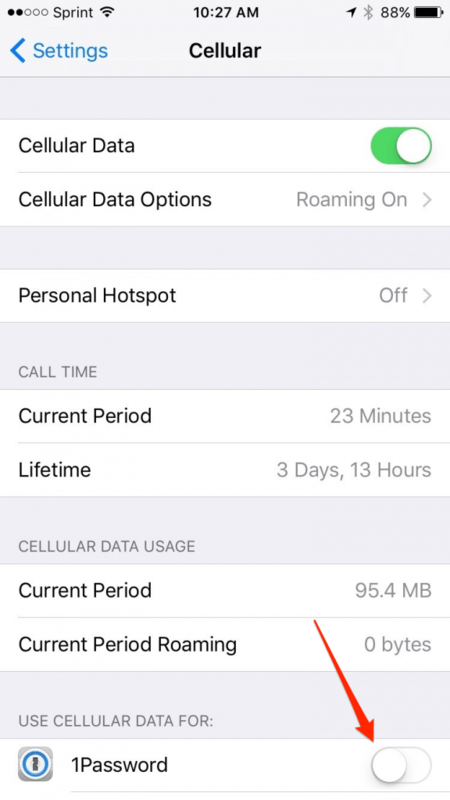 With a quick toggle, you can turn this data usage off. Your apps will continue to function just fine. They’ll just have to wait until you connect to a wifi network before they can do their thing. I’ve noticed absolutely zero difference in turning some of these off. 2) Turn Off Streaming Media. This is the biggest thing. You have to make sure that Apple Music, Spotify, Pandora, etc., are not using cellular data to stream media. This isn’t a problem because iPhones today have a ridiculously large amount of storage, so I’ve downloaded all the media I need onto my phone locally. This means all podcasts, videos and songs are downloaded automatically when I’m on a wifi network and saved so I can listen when I’m out and about. 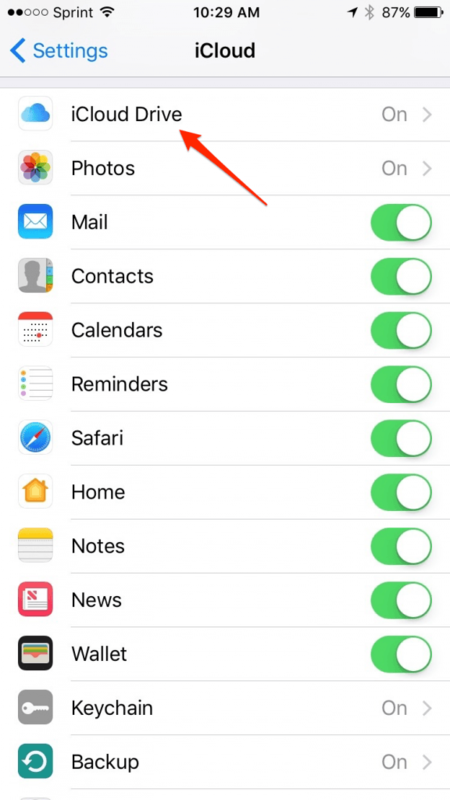 3) Turn Off Cellular Data Usage for iCloud. iCloud is the backbone behind a lot of apps and it does a good job of shuttling information back and forth between the apps and iCloud so you’ll always be up to date. But it’s a prime candidate for a service that works just fine without using cellular data. By turning it off, I doubt you’ll run into any problems, because iCloud will do its thing as soon as you connect to a wifi network. 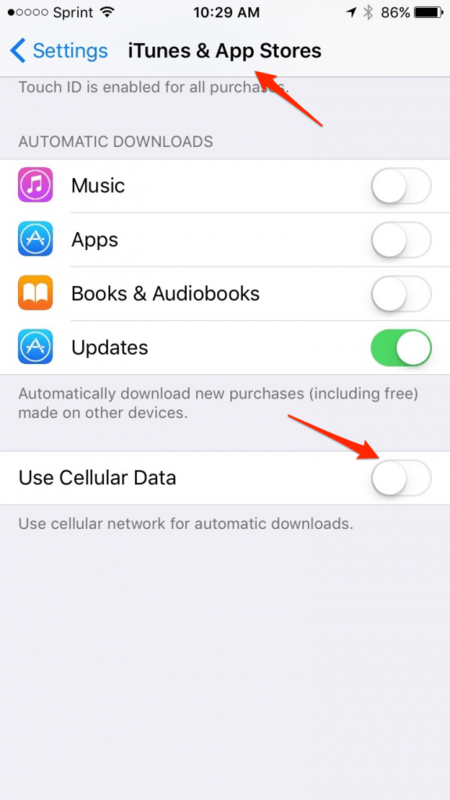 4) Disable Automatic App Downloads with Cellular Data. Downloading and updating apps uses a lot of data since the files can be quite large. It’s good to have the latest versions of your apps, but do you really need the updates to occur over the cellular network? I highly doubt it, so turn off the phone’s ability to update these apps unless you’re connected to Wifi. 5) Switch Off Wi-Fi Assist. 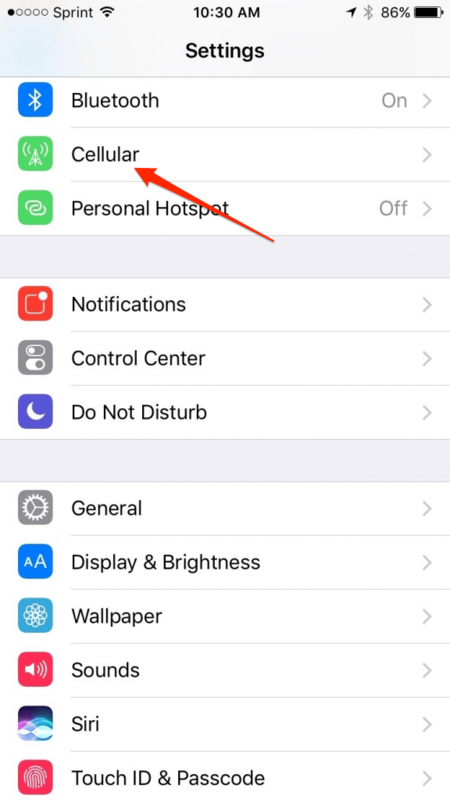 Wi-Fi Assist is a function of the iPhone that tries to supplement a weak Wifi signal with cellular data. 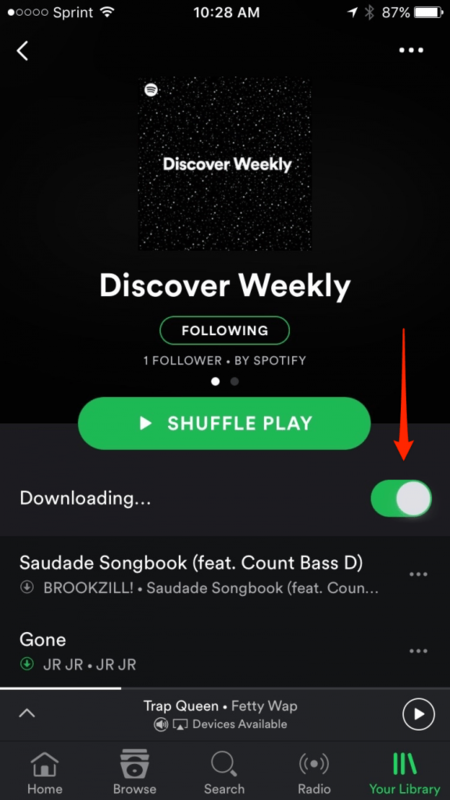 This can be a helpful feature, but it can also lead to unexpected data use. If I’m in a location where the Wifi signal is so weak that the phone needs to resort to cellular data (how often is that? ), I’d rather the phone treat me as if I’m using cellular data. That keeps the phone honest and won’t trick me into thinking I’m on a Wifi network when in fact the phone is secretly pulling data from the network. 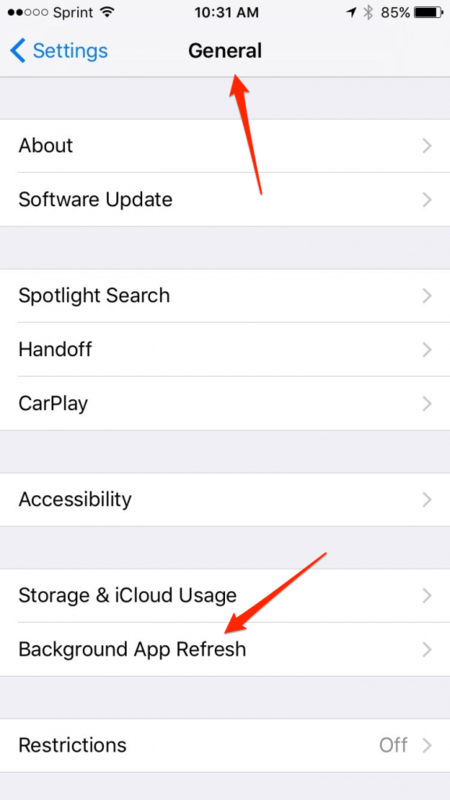 6) Disable Background App Refresh. This setting will effect your usage whether you’re on Wifi or not. 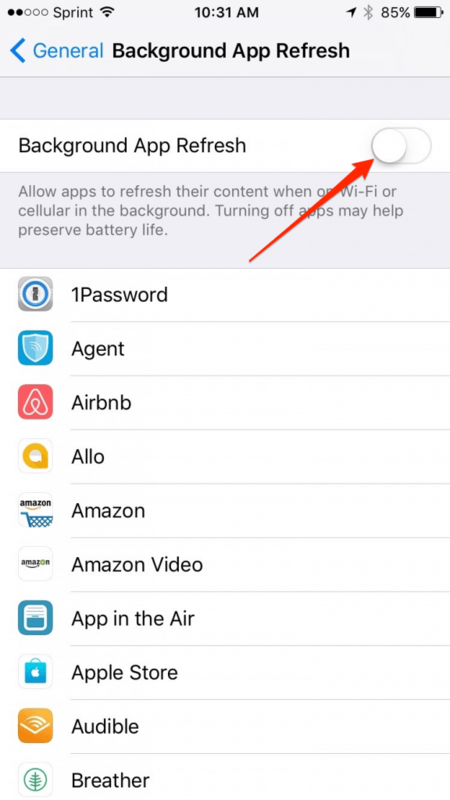 The iPhone allows apps to update themselves in the background while you’re not using them. This allows the apps to have the most up-to-date information when you pick up the phone. This sounds convenient, but at what cost? Do I really care if the app takes 1-2 seconds to load the latest content when I open it? Turns out I don’t, particularly when it saves me money. 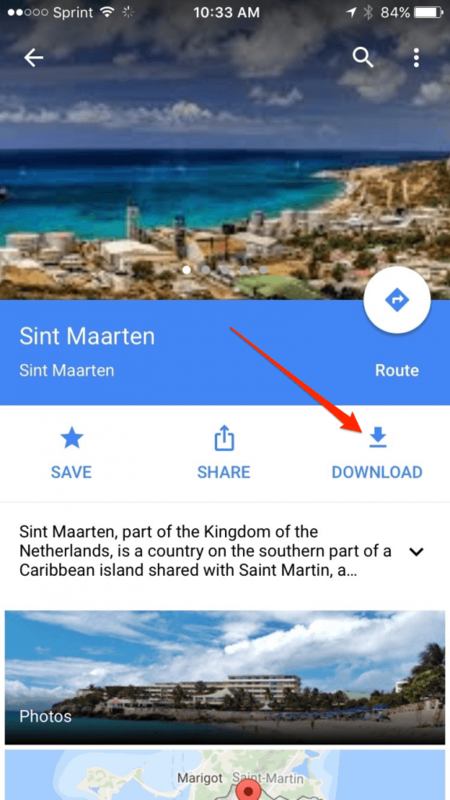 7) Download Google Maps Locally. Data from map usage can get really high thanks to the wonderful GPS and map navigation systems so many of us use on our phone. But one trick I learned recently is that you can have Google Maps download the detailed maps for any location, which means you’ll have access to the entire map but won’t need to use cell phone data to see it (it also turns out that the GPS tracking system, aka the little blue dot, uses very little data to pinpoint your location – it’s almost all in downloading the map). You can download maps in advance of where you’re going – I recently did it for a trip to upstate New York. 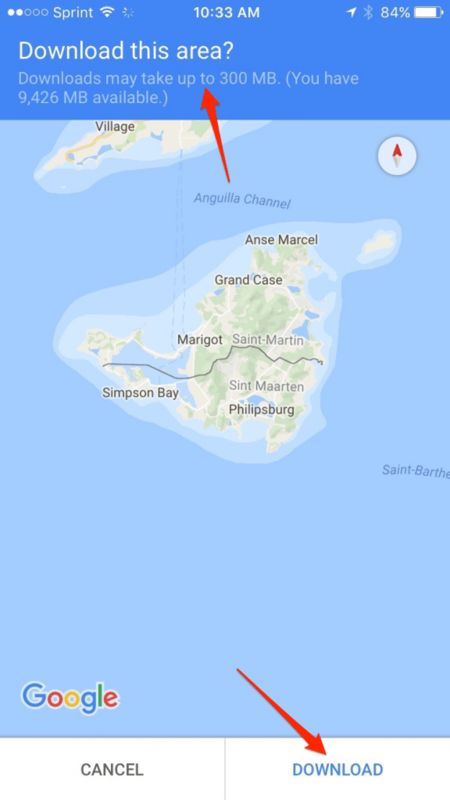 All it took is three clicks and Google downloaded a 450MB detailed map of the surrounding area for my trip from my home wifi. The final piece to the puzzle is to stop viewing so much media while browsing the web (graphics and videos) when you’re on mobile data. Truth be told, most of the time you’re probably not even interested in the graphics that are being loaded on your phone (like advertisements, photos at the bottom of the page you never intend to look at, etc). I’ve disabled cellular data for Safari, which means when I’m out and about, I use a browser called Dolphin to search the web. 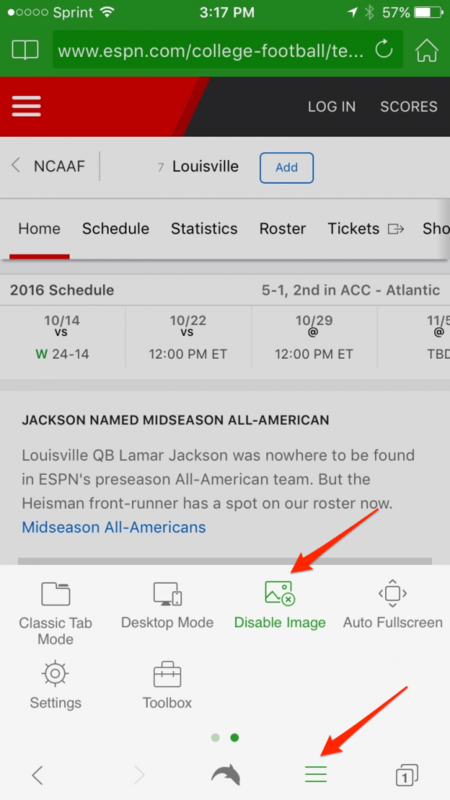 It’s a capable browser in its own right, but the key feature is that you can disable image loading. Pages load normally (actually, pages load faster since images aren’t downloaded), its just that images are left blank. I don’t find this to be an issue at all. And the best part of reducing your mobile data usage is that this can all be turned back on with a flip of a switch. So, if you find yourself needing to turn it back on, you simply do for a brief period and then turn it back off once you’re done. Four thoughts on How Much Mobile Data Do You Need? I’m in the same boat as you, Biglaw – me, my wife, and stepdad share a plan with 3GB on it. We usually barely tip the scale over 1GB of use for the month combined. I’m actually considering changing the plan to 2GB to save a few bucks and then just pay the overage if we ever hit it… it would still be much cheaper. I have coworkers like you that blow through 10-15GB of data every month. I just don’t get it. Jim – Holy cow! 10-15GB a month? They must be watching YouTube videos night and day while on LTE. That’s crazy. I suggest you drop down to 2GB a month. Better yet, consider switching to a MVNO that will charge you a reasonable rate for each MB that you go over, that way you only pay for what you use. Great article! I implemented the tricks you described. Which MVNO do you use?